I started this blog in the New Year to encourage me to actually do something productive with my spare time. In particular something involving sitting. I have a lot of fun doing it (except for the 30 min period each week when I realise I actually need to write something and curse its name while softly weeping). But I never really imagined much would come of it. 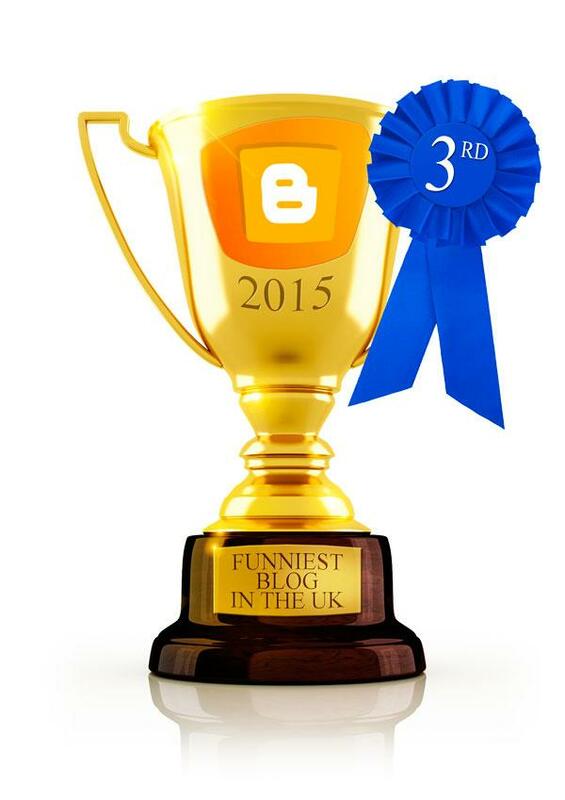 A few weeks ago I read about a competition to find the UK’s Funniest Blogger of 2015. Presumably delirious from a night of Netflix I decided to enter. Why not, eh? 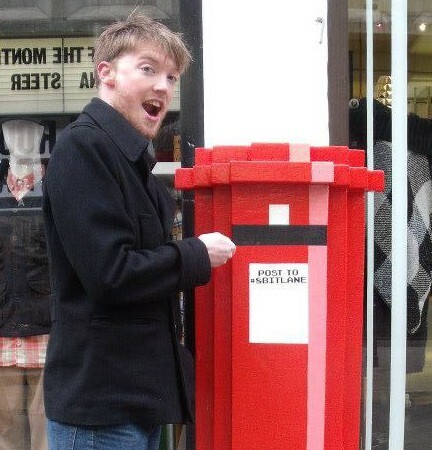 Then I got an email from them to let me know I was one of 11 that had been shortlisted for the public vote… OK, well I’ll beg, blackmail and intimidate friends into voting for me (perhaps less of the latter as my gangly frame doesn’t inspire terror as much as what-are-you-doing awkwardness), but I was up against some pretty famous blogs and professional comedians. I may also have bribed my office with a promise of cake if I won. Still, at least I could say that I tried. Then the results came out and I was very pleased to discover I’d come third in the public vote! I’d been beaten by two much larger blogs so I’m incredibly happy with third place. My friends must have really pulled out all the stops when it came to the voting. But even greater for my fragile ego, I’d won the Judge’s Award. Sure I couldn’t pull in the voter numbers of the big boys, but this at least showed me I was doing well. I’m like an alternative blogger. Sure I’m never going to sell out massive arenas forums, but the critics appreciate my art. Or Pokemon references. This makes up for years of sports trophy rejection. 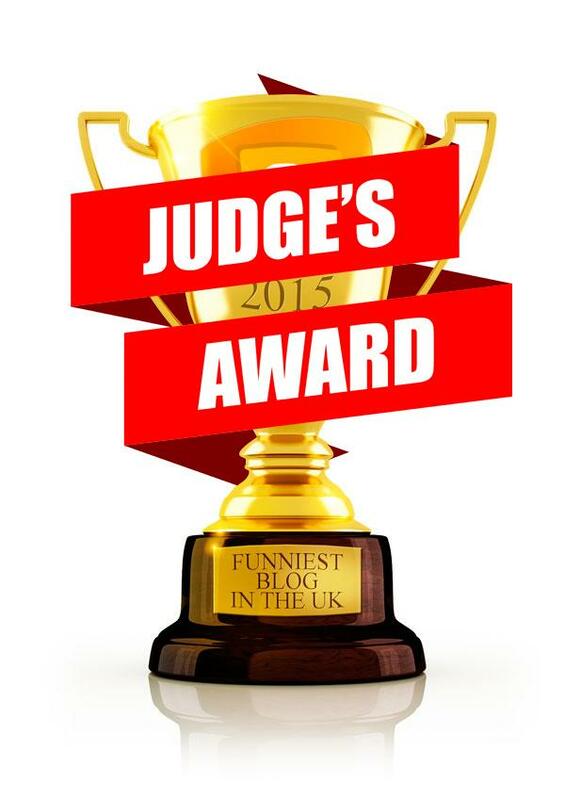 So a massive thank you to all who voted. And a massive apology to those who have to live with me over the next few days. My ego may be a little out of control. And after much negotiation with the office, we settled that I at least owed them biscuits, since technically I did win. But that’s OK, because I’m the critic’s choice, so that makes my selection the critic’s choice choice of biscuits. And the critic’s choice choice is chocolate chip.